Elite Compact 4 x 4 Greenhouse: This compact greenhouse from the Elite range is one of the smallest in the range at a neat 4 x 4 size. 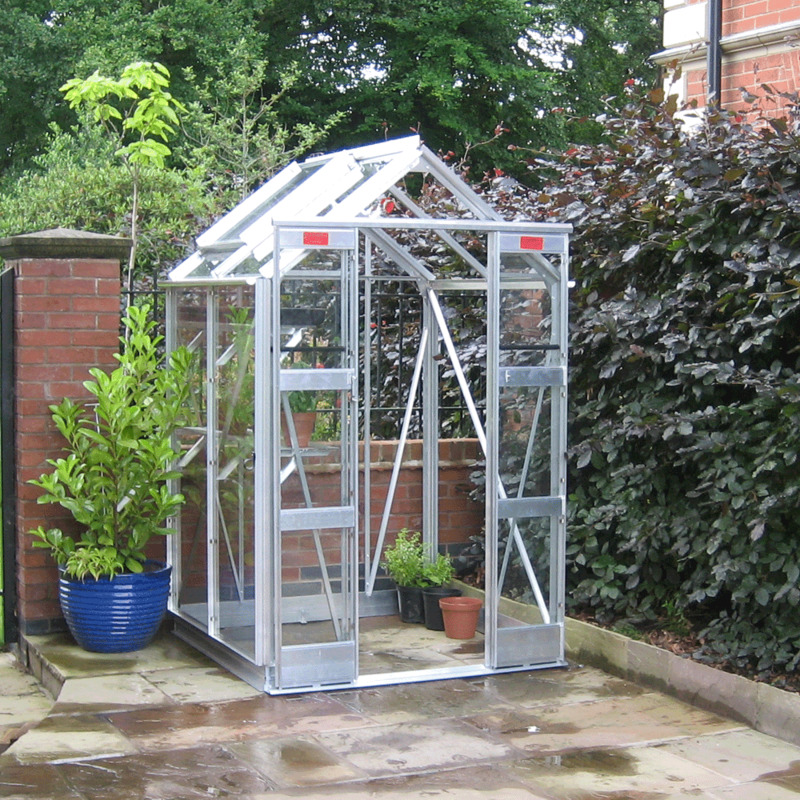 Although it has a compact size this greenhouse is not at all compromised by a lack of features. This Compact greenhouse contains all of the features that you would expect to see from an Elite Greenhouse including integral base, integral guttering, double doors with lock and key, low threshold for easy access with garden toolss and a choice of 3 different glazing styles to suit the needs of your garden. The Greenhouse has a generous eaves height of just over 5ft so there is plenty of room for upwards growth. This compact greenhouse will ensure that no matter what size of garden you have there will be room to grow your own plants and vegetables. Your Elite greenhouse will be delivered flat packed for easy self-assembly and includes comprehensive assembly instructions and a 10 year manufacturer’s warranty for complete peace of mind.